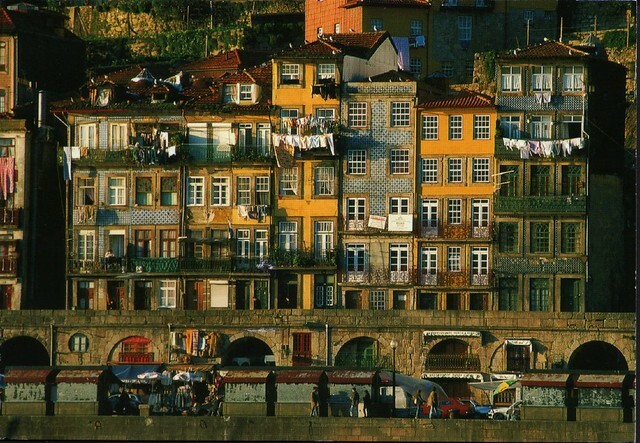 The Senses Five: Honeymooning in… Portugal! Why Portugal? We picked it out of a hat. Seriously. 8 months later and we’re finally going to take a honeymoon. We had planned on Paris in May, but Bub snagged a job at U of M and won’t have vacation for quite a while. So we decided to look at the cheapest flights and go for it. Into the hat went our options, out came Lisbon. We leave in just two weeks! Have you been to Lisbon??? Yeah! We spoke about it this weekend in our blog! Go on and have a look if you like!! My tips: If you take the 28 tram you will get a general view of the city, it’s lovely! Fado in Alfama, Cascais and Sintra for a day trip and you must climb to its viewpoints, they are all amazing!!! I’ve never been to Lisbon but my dad has a number of times and (having travelled plenty) says it’s one of his favourite places. It’s supposed to be wonderful! *the slow pace – How funny! Your pictures are beautiful. Now I’m REALLY excited! Thanks Jacquelyn! We thought it was a fun idea, our other plan was to show up at the airport and then figure it out, but this way gave me less anxiety. Hi! Guess what? I’m portuguese… And I live near Lisbon! I’m in my cell phone right nos, which makes it really dufficult to write, but I’d be glad to e-mail you a few suggestions, if you like. that is so exciting!!!!!!! my sister and her husband went to portugal for their honeymoon and were obsessed. they carried sweet mediera wine around in a flask for like three years afterward, haha 🙂 excited for you guys! My husband and I went to Portugal last March (before we were married). I’ll think if I have any tips or favorites. Hi, I ‘m Portuguese and I think you’ll just love Lisbon. Do you know where you’re staying? In Lisbon there’s lots to see, around 30 minutes away the beaches are great, can’t miss Sintra, the most ROMANTIC place surrounding Lisbon, a new tavern just opened up in Chiado/ Bairro very small, good , good food. Actually, in this city the food is great! Wow! Unbelievable how many of you live, traveled to, or know someone who traveled there. This is getting really exciting. Traveling is the best! I’m from Lisbon and I love this city. I’m sure you’ll love too – the town, the food, the people … Have fun, see you soon! All my grandparents were from Portugal, I can’t wait to see their homeland. All I can tell you is that you’ll EAT really well. Born, raised and living in Lisbon. You can write me an e-mail if you need some advice. I’m sure you’ll have lots of fun!!! And nice weather. Be more than welcome!!! have so much fun pretty girl! Lisbon is b-e-a-u-t-i-f-u-l!!! I hope u guys are gonna love it! Almost sure Im late but in case you need can email you tips, restaurants, nice things to do nearby..
And most of all enjoy Lisbon!! Hi Lily, Just got back from 2 weeks in Lisbon. I went 3 years ago bymyself but this time I took my son and his wife. There were afew chengas I noticed. The people of Lisbon were friendly and helpful and courteouson my last trip here. Pretty much they were impatient andnot courteous drivers. One big change is now taxis and busesand regular drivers will stop for you even if you just look likeyou are going to step off the curb into a marked crosswalk. Iam not in a hurry when I am in Lisbon so this doesn’t reallymatter to me but I am sure the the locals and most visitorsreally appreciate the change. Now if they can just pick up aftertheir dogs. One other change was a few more beggars and lots more streetpeddlers. No one I asked seemed to know if this was because ofmore tourists coming to Lisbon or just because of the economy.It is not something that bothers me though because I am usedto seeing tons more here in cities like San Francisco, California. I had another fantastic time in Lisbon and my son and daughter-in-law fell in love with the pLace also. Now I will see if I can getthem to follow your blog too. One last thing Lily. You have a link to the Spotted by Localswebsite. I would encourage anyone traveling to Lisbon to checkout their website for different or new places to eat or visit.